BARcelona's chef Peio Aramburu was raised in the Basque region of Spain and has tasted his way through the cocktails of Europe and the Americas. Building on the universal appeal of the traditional Mexican margarita, he crafted a Spanish margarita for the downtown Clayton hot spot. The recipe is built around Licor 43, a Spanish cordial made with Mediterranean citrus that's infused with herbs and spices, delivering layered flavors of vanilla, caramel and honey. The cordial is then paired with Hussong's reposado tequila, with its hint of lemon and warmth of caramel, then mixed with citrus juice and topped with a Grand Marnier float. ¡Que delicioso! 34 North Central Avenue, Clayton, 63105. 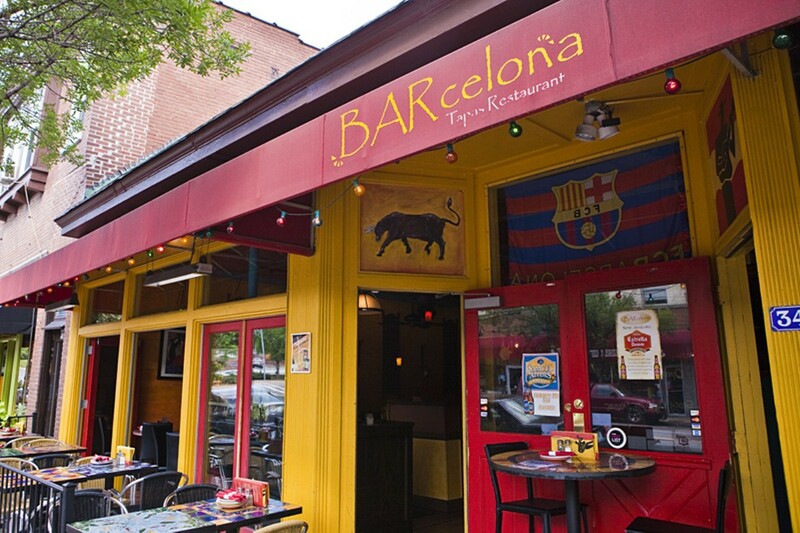 314-863-9909, www.barcelonatapas.com.